3B International Ltd are logistics experts and provide a popular courier service, situated in Cornwall. 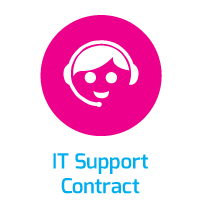 They were looking for an innovative and reliable IT provider whom they could confidently trust to further enhance their cloud-based IT systems. 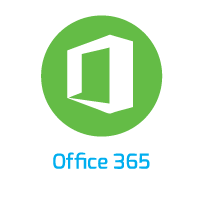 The NCI team migrated Microsoft Office 365 email for 3B and provided access to the full Microsoft Office Suite of applications for all key staff on up to five devices per user. This helped to enhance communications and collaboration between team members. Cloud based communciations also helped improve flexible working for 3B's staff which can lead to increased productivity and job empowerment. Line of business applications including their Warehouse Management System were moved to Microsoft Azure, the cloud based platform. Azure would provide 3B with the infrastructure on which to run their applications in the cloud. For 3B’s staff and customers, this would provide access to the online parcel logistics booking system. Azure provides a highly-scalable resource that can easily be adjusted on demand as the business requirements change. Systems such as this are suitable for workloads that may change depending on demand as they can scale up or down without the need to replace any hardware or software. 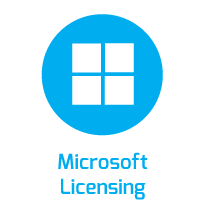 Microsoft Azure is a 'pay-as-you-use' service which eliminated the need for a large capital outlay for hardware and software licensing. Instead, 3B pay only for the amount of resources that are actually used which helps manage IT costs efficiently. 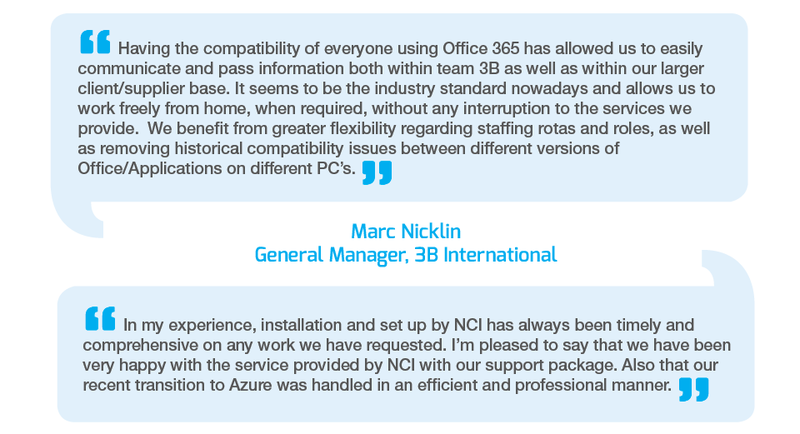 NCI's PROsupport contract provides 3B with monitoring, support and systems management of Azure so 3B won't have to worry about supporting and managing the IT platform.